Facebook today begins testing its own mobile ad network. Advertisers can pay to target you with ads for app stores or websites based on your Facebook data that appears while you’re on other apps and mobile sites. Facebook tells me that, similar to its first off-site ad placements on Zynga.com, the goal is to show Facebook users more relevant ads wherever they go, even outside the social network’s own properties. If you were looking for a big new way Facebook could make money but avoid hurting its user experience, here it is. Starting later today, you may start seeing banner and interstitial ads targeted by your Facebook biographical and social data within non-Facebook mobile iOS and Android apps plus mobile websites where you’ve authenticated with Facebook. The targetable data includes your age, gender, location, Likes, friends who’ve used an advertiser’s app and basically any other targeting options in Facebook’s standard ads marketplace. On the back end, Facebook is acting as an ad-exchange layer on top of traditional mobile ad exchanges like Mobclix or Nexage that bid for placements on ad networks like AdMob, iAd, or other mobile advertising individual publishers. Advertisers set a bid they’re willing to pay Facebook to reach a certain demographic of users. 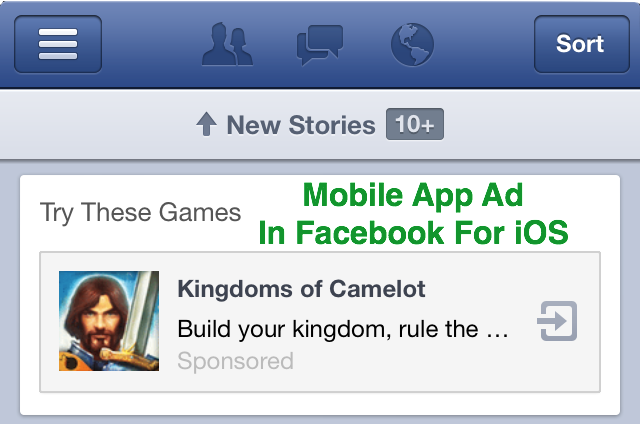 Meanwhile, Facebook syncs its anonymous user IDs with several mobile ad exchanges. When a Facebook user visits one of the apps or sites where these exchanges have placements, the exchange instantly sends Facebook that user’s ID and asks if there’s a bid set to target them. If so, Facebook pays the ad exchange some portion of the bid, and the ad is shown to the user. Those ads can lead to App Store pages where users can download something, or to mobile websites that might feature services, ecommerce, or brand promotions. They won’t be “social” though, meaning they won’t display the names or faces of friends who’ve interacted with the advertiser. The mobile ad network lets Facebook earn money on traffic to other apps and sites by leveraging its remarkably expansive and accurate user data set. It gives app developers and brands such a powerful way to reach specific audiences that they’ll be willing to pay more than if they advertised with a less accurate ad exchange directly. For example, a humor website aimed at young men could target 16-35 year old males who Like the TV show South Park on Facebook. 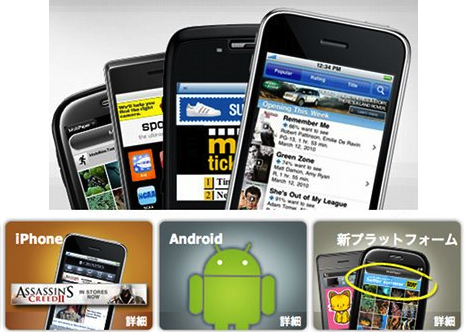 Social shopping apps could target friends of their existing users who might have already heard of them. Parenting apps could target Facebook users who’ve stated they’re engaged or have kids. These are audiences Facebook can reliably deliver thanks to data volunteered by its users, while other ad exchanges might have to guess or infer about who fits an advertiser’s desired demographic. Facebook launched its first non-social, in-feed ad unit last month, allowing mobile developers to pay to show download links for their apps within the Facebook for iOS or Android news feed. I spoke out against them, as they have the potential to reduce the news feed’s quality much more than Sponsored Stories and Facebook’s other social ad units that actually show updates about friends that happen to mention businesses. That means if Facebook shows too many, it’s hurting itself. That’s why today represents an important shift from Facebook utilizing its traffic to instead solely utilizing its data to monetize. There might be some small vocal minority unhappy about the repurposing of their profile data, but Facebook assures me privacy was “top of mind” when designing the new ads program and no personally identifiable information is ever shared with third parties. In the end, people are going to see ads in other apps anyways so they might as well be relevant. This less obvious data usage will surely cause less of a backlash than if Facebook massively increased the number of ads it showed per organic news feed story. Now Facebook has to watch to see if users tap into these new off-app ads. If they do, Facebook could make a lot more money on mobile without having to choke its own apps.